Trip Away is a CD bootleg from Alley Cat. It uses an audience recording of the Jane’s Addiction concert at the Cabaret Metro in Chicago, IL on November 25, 1988, and a pair of demos from studio sessions recorded in March of 1986 at Radio Tokyo in Venice, CA. 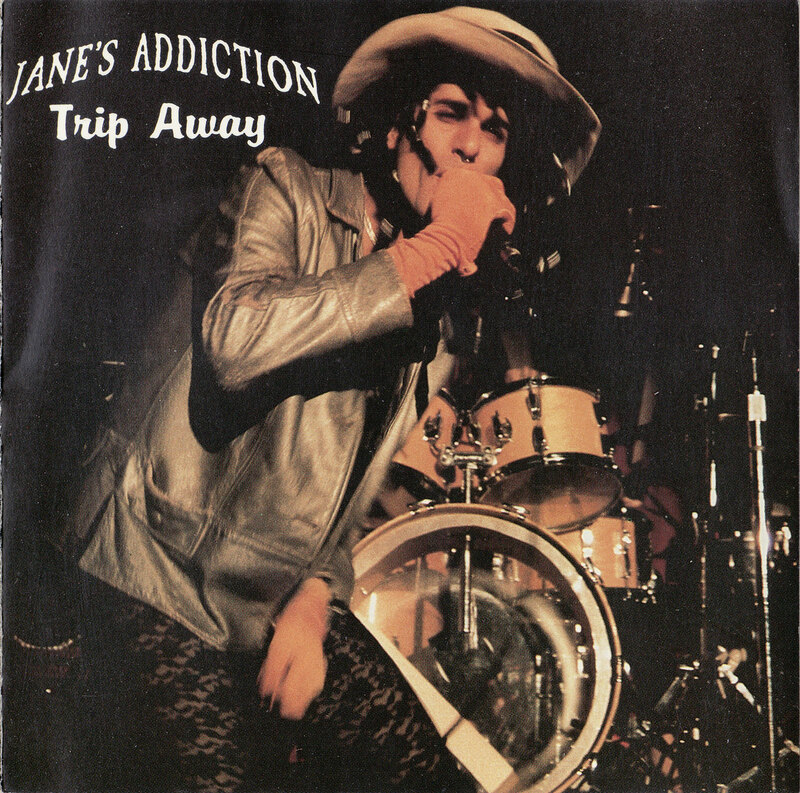 The sound quality is quite good for an audience recording, sometimes leading some to believe it is actually a soundboard recording, and the show itself is an excellent Jane’s Addiction concert. For some reason, Perry shouts out “Romeo” repeatedly during Whores.